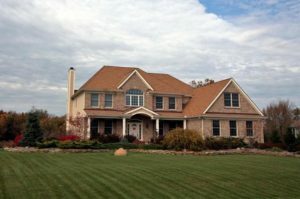 Fox Ridge is a Dexter neighborhood, the custom homes often back to woods or a pond, and many recreational areas, park and nature areas, and lakes are located nearby. There are currently 4 homes listed for sale and so far this year, 1 has sold. $674,900. 7067 Fox Ridge Dr., Dexter. 2926 square feet with 4 bedrooms and 4.0 baths. $629,900. 7689 Timber Ridge Ct., Dexter. 3083 sq. ft., + 1100 in finished lower level, 4 bedrooms and 4.1 baths. $599,900. 7132 Ridgeline Cir., Dexter. 3301 square feet with 4 bedrooms and 3.1 baths. $475,000. 7104 Ridge Line Cir., Dexter. 2957 square feet with 4 bedrooms and 3.1 baths. $470,000. 7195 Ridge Line Cir., Dexter. 3400 sq. ft., + 1200 in finished lower level, 5 bedrooms and 2.1 baths. Last year at Fox Ridge, 2 homes sold with an average sale price of $522,500 and an average price per square foot of $157.00. The 1 home sold this year has a sale price of $470,000, down 10%, and the price per square foot is $138.00, down 12%. To learn more about home values at Fox Ridge contact the real estate specialists with The Bouma Group at (734)761-3060 or email info@bouma.com. View more Dexter neighborhoods here!